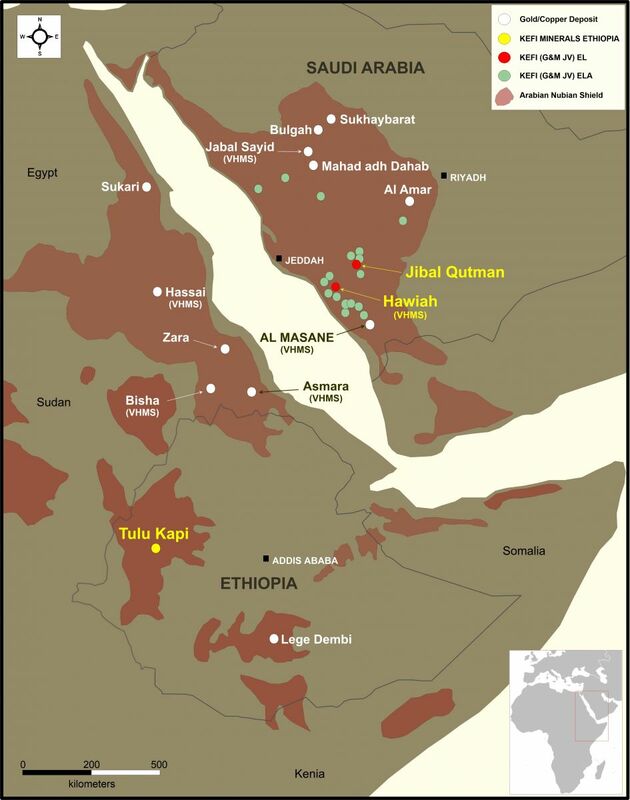 40%-owned Jibal Qutman project in Saudi Arabia with Mineral Resources totalling 0.7 million ounces. As the operator of these joint-venture projects, KEFI Minerals is well positioned to develop these projects prudently while continuing to add value through further exploration. Planned gold production at Tulu Kapi is forecast to be circa 140,000 ounces per annum at an AISC of less than US$800/ounce over the initial seven years of mining the open pit.